The new Gyde heated fleece vest is powered by Gerbing's heating technology to provide maximum warmth and comfort. 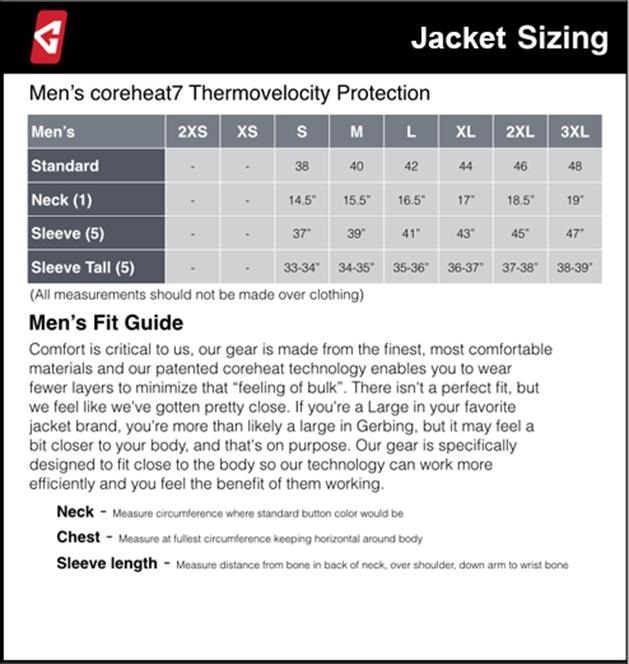 We love the performance and feel of the Thermite Heated Vest and we know you will too! Includes a rechargeable 7V lithium-ion battery for hours of heat on-demand. Simply turn on your heated vest and experience warmth like never before. Our fleece program is composed of a deep, soft pile obtained by heavily napping with wire brushes. It is a two-sided pile fleece, which provides air space giving good insulating properties without too much weight. A lightweight, warm, soft fabric, with hydrophobic attributes and holds less than 1% of its weight in water. It retains much of its insulating properties, even when wet. Unlike other synthetic fleece, polyester fleece is known for its ability to resist pilling, even after extended use. To update the fleece, we developed a honeycomb structure to give the fabric a more unique look, while maintaining functionality. When you purchase a Gerbing product from The Warming Store, the heating elements (Microwire TM) are warrantied for life. Electrical plugs, Connectors, and any solder joints, as well as all materials and craftsmanship are covered by a one year warranty from date of purchase. Batteries and Chargers have a 90 day warranty from date of purchase. Normal wear and tear, and or customer negligence is not covered under the Gerbing LLC warranty. All warranties are non-transferable and apply solely to the original purchaser. Proof of purchase must be provided if any warranty claim is to be honored. When you purchase a Gerbing product within the United Gerbing rechargeable Lithium/NIMH battery packs and chargers are warranted from factory defect for 90 days from the initial purchase. Special care should be taken to prolong the life of your battery. It is important that you charge your battery regularly and that you maintain at least 25% of your battery power when not in use or left idle. Proper care will insure a battery can be used up to 500+ uses. I bought this for a Christmas gift so cant give it 5 stars yet. I am very impressed so far though. Delivery was extremely fast and the vest is super nice. I am very happy with my purchase so far. Will rate again after the holidays. My husband and I both wore these vests every day for a week-long photo shoot in northern Alaska in October. We were both happy with the vests. He barely turned on his battery but it was there on the days he needed it. I had mine on 50-75% every day. The battery seems to last per the chart. It worked fine for me because I could re-charge before every outing but if I couldn't do that I would have needed to buy another battery. My layering was two base layers, a warmth layer, the vest, and then my big parka. I still got cold after about 4 hours of standing/sitting but can't even imagine how cold I would have been without the vest. Husband layered a little differently and it worked great for him -- two base layers, a warmth layer, the vest, a pullover, then the big parka. The pullover layer OVER the vest trapped all that lovely heat inside instead of letting it out into the parka. I would do it that way next time. I got my vest mainly for winter steelhead fishing in my boat. Winter steelhead aren't running in the rivers yet but I have worn it salmon fishing on a couple low 30 degrees mornings and stayed comfortably warm. ProsJust what I needed to keep my old bones warm. It has worked well so far but we will see how it works on really cold mornings when we have ice and snow on the ground. ConsBattery charge could last longer. I will have to get another battery before the cold weather hits. Three of these exact same vests, actually. They�€™re amazing. Quick shipping and great pricing from this family owned business. High quality product. Works as advertised. Comfortable to wear. Power pack is easy to operate. 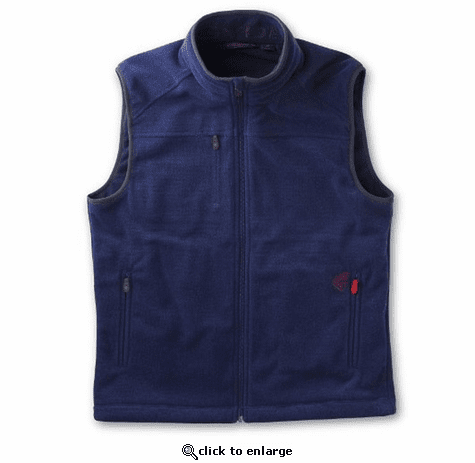 Fleece vest works easily with any outer wear or can be worn alone. Overall very pleased with the product and the Warming Store. I will definitely consider purchase of more items.